2018 Darryl Worley Fan Club Party On Sale Thurs 3/15! 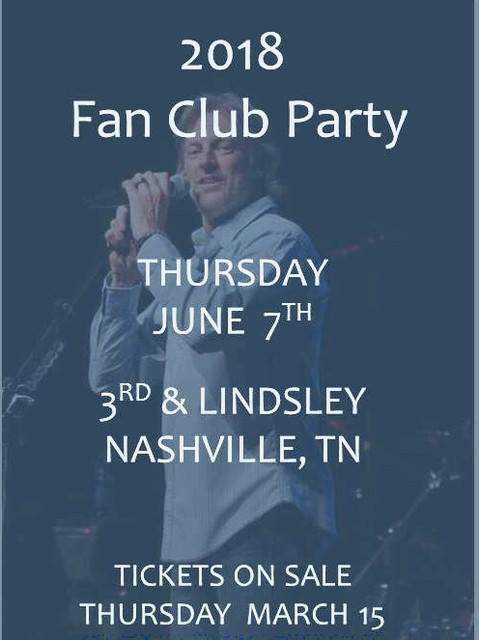 Darryl Worley announced that his 2018 Fan Club Party will be held on Thursday, June 7, 2018 at 3rd an Lindsley. Tickets to go on sale Thursday, March 15, 2018. Last year's party included lunch, a full band performance, and meet and greet and tickets were $50. Stay tuned for more details about the 2018 Darryl Worley Fan Club Party.